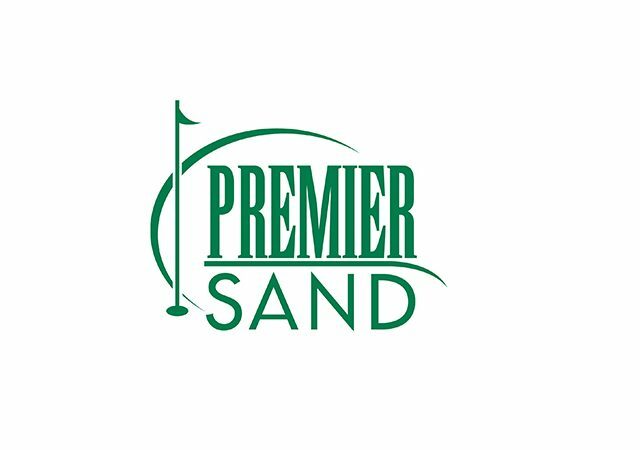 Advanced Turf Solutions is now an exclusive partner of The Hayden Group, Inc., an Arkansas-based company that manufactures Premier Golf Course Sand. 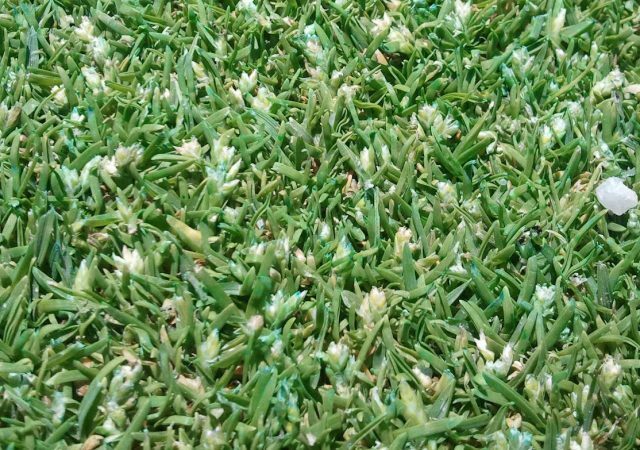 Although you will be busy with spring cleanup in the next few weeks, now is the time to start thinking about those first applications to your turf. 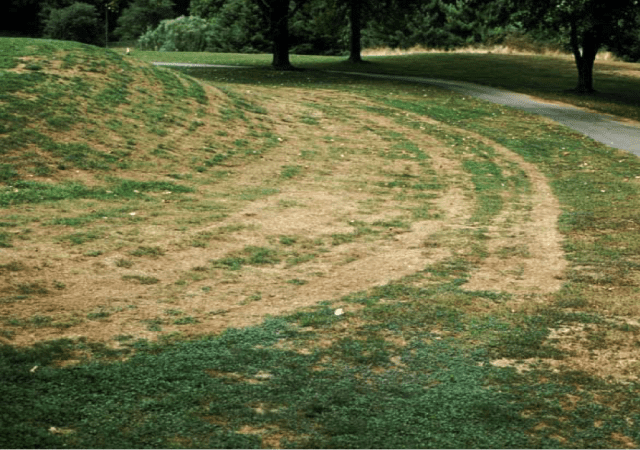 The Transition Zone is a challenging place to grow and maintain turfgrass, whether you are growing it in your lawn or on a golf course. 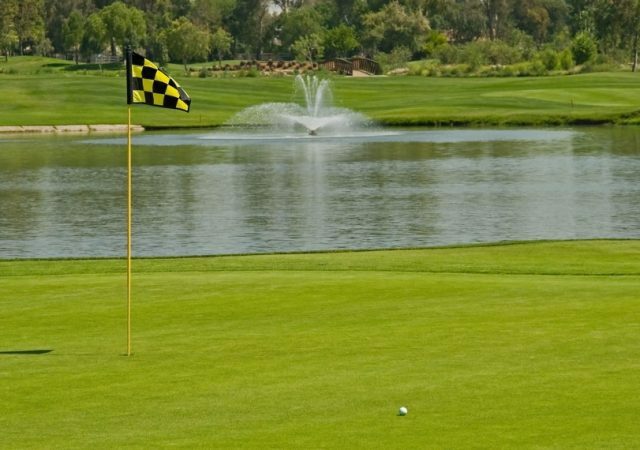 However, as a Superintendent, perfection is expected. 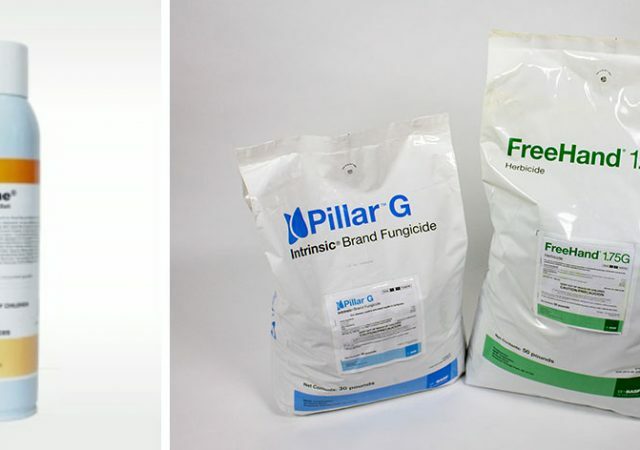 Ensuring fungal diseases are kept at bay is one way to help reach that perfection. 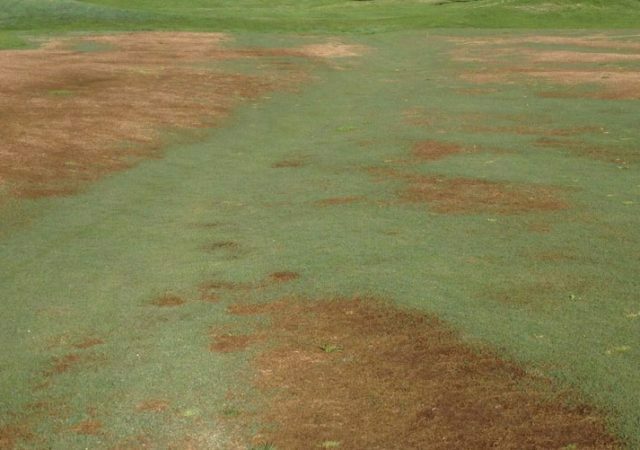 In this blog, we explore two ways you can help ensure fungal diseases don’t keep your Transition Zone course from perfection this spring. 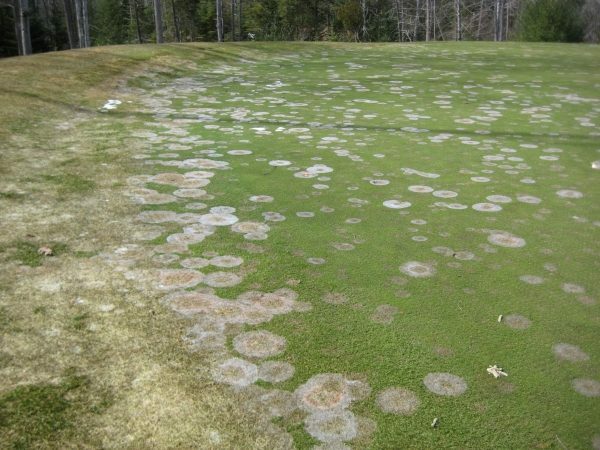 Fungicides can be expensive. 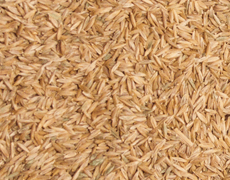 Use these cost-saving tips to save money on your fungicide program this season. There is a ton of information out there, but sometimes you just want information tailored to you. 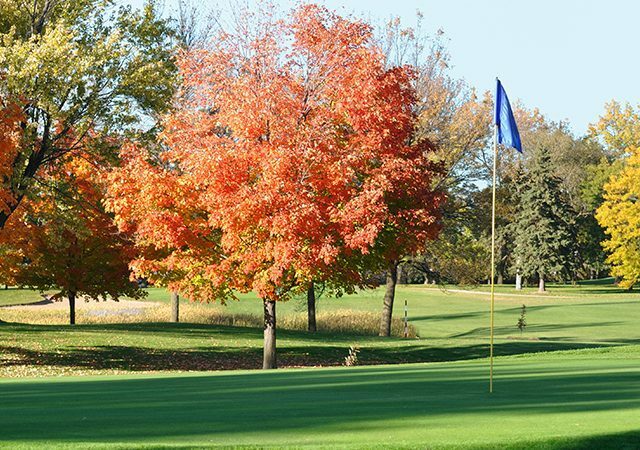 If you work on a course in Southeastern Michigan, check out these early season application best practices to keep your course on track for the season. Flight Control can be a very profitable service you can offer your clients. 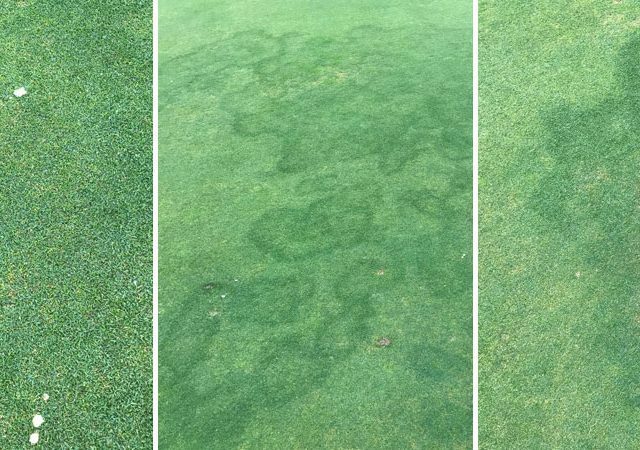 Proxy Growth Regulator has evolved to be the standard PGR for Poa annua seedhead suppression on cool season turf. 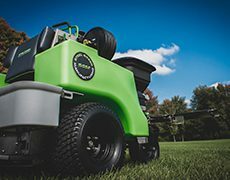 The most effective Proxy program is to apply your 1st application (primer spray) in late fall, after final mowing or tank mixed with your preventative snow mold fungicide. This late fall application has proved to be effective and has dramatically improved seedhead suppression on greens and fairways the following spring. Long stretches of cloudy, cold weather can quickly lead to the onset of the winter doldrums. 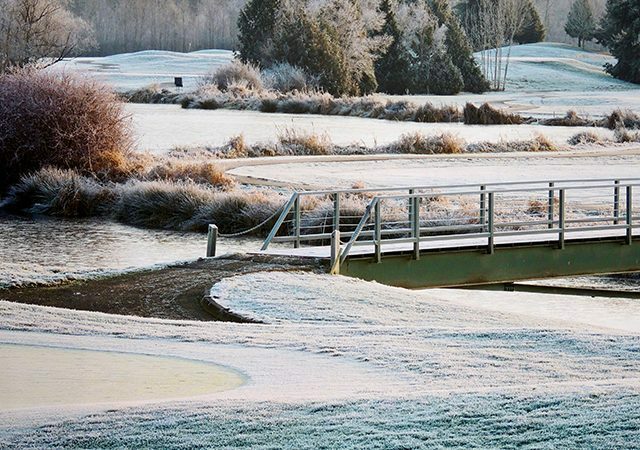 Here are some ways to try to inject some fresh energy into your winter routines at the course. Mini Ring (Rhizoctonia Zea) on Bermudagrass greens can be a scary thing! 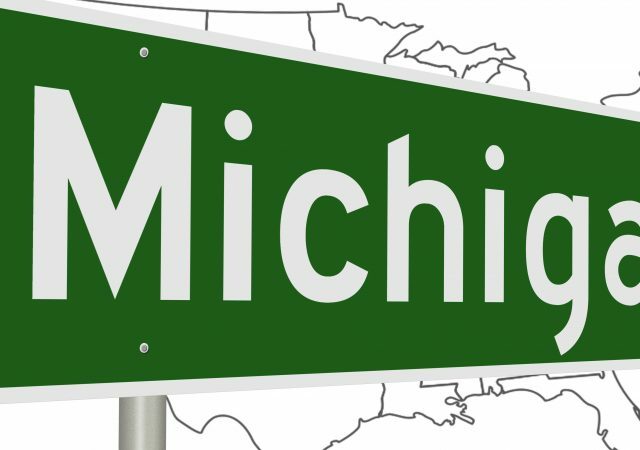 Check out the FAQ to learn more. 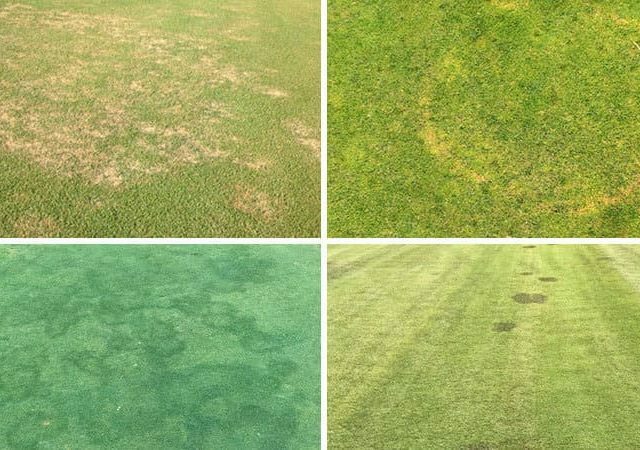 Gray leaf spot is a fungal disease that attacks perennial ryegrass and tall fescue. Find out when to look for this disease and how to treat and prevent it. 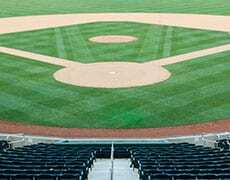 As the season comes to a close, you may feel anxious to put the events of the season behind you. Although you would like this time to unwind, right now is the best time to evaluate and search for solutions to this year's issues to prepare for next year. 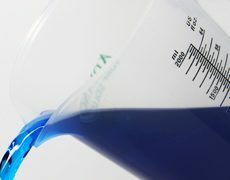 Here is a guide of what to plan now to prevent next season's headaches. 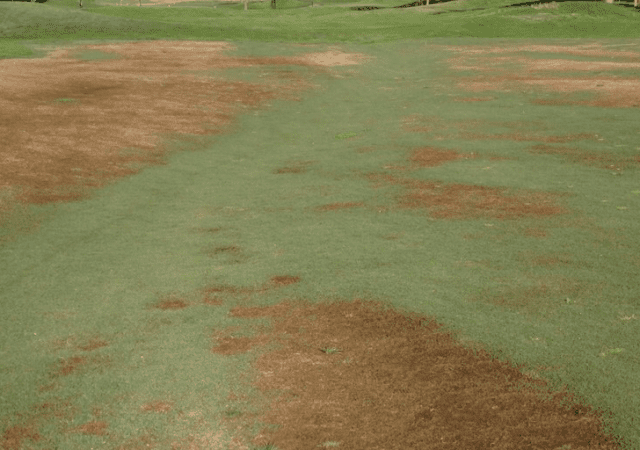 Winterkill is turf loss during the wintertime. 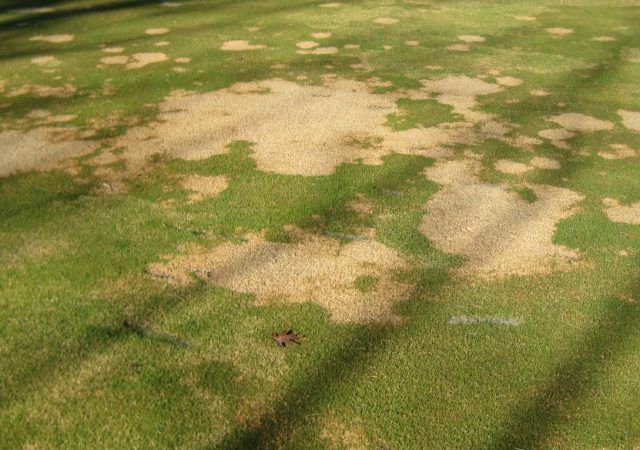 Its damage can be found in cool season areas, warm season areas or the transition zone and there are several conditions that cause winterkill: crown hydration, winter desiccation, low-temperature kill, ice sheets, and snow mold. 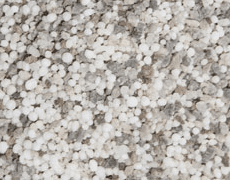 With this in mind, let’s take a look at how to help prevent some causes of winterkill before winter even starts. 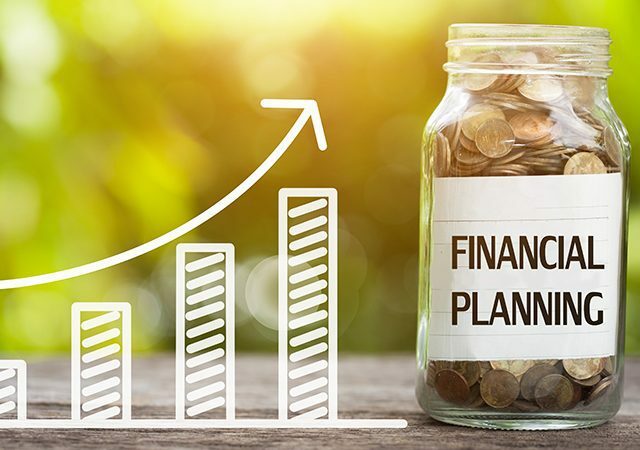 It's never to early to start thinking about saving and investing for the future. Find out how you can start today. 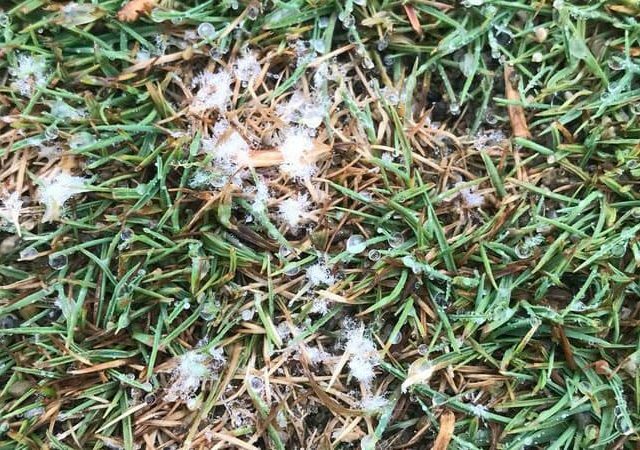 It seems odd to start talking about snow mold now, but in the northern regions of the Midwest, it’s a topic that needs to be discussed sooner rather than later. 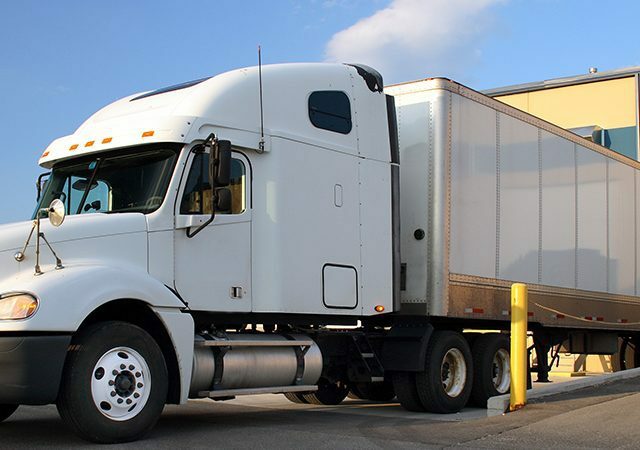 The first 7 months of 2018 have seen the most dynamic freight market in recent history. In this post, we would like to explain what's going on in the market and how it may affect you. 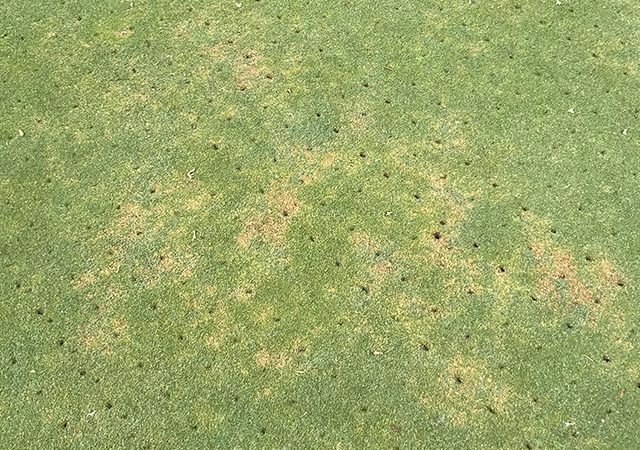 There’s nothing worse than walking into a mess first thing in the morning on your course and, if you discover ant mounds on your greens and/or tee boxes, a mess is what you will have. The Fourth of July has passed with a bang, and as we charge forward on the 2018 weather roller coaster ride into some of our toughest management months as golf course superintendents, DEFENSE becomes the name of the game. 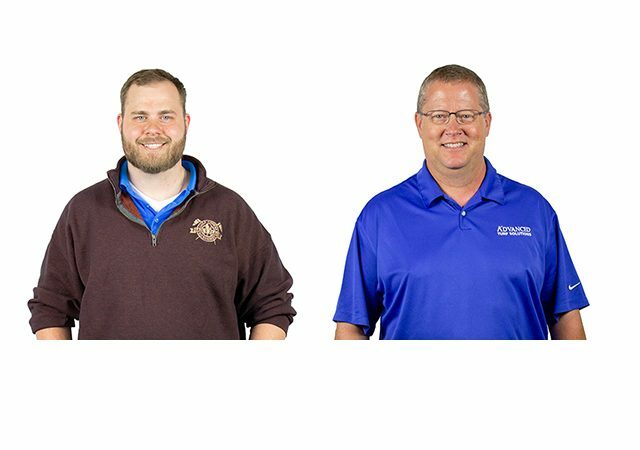 Meet Dan Jennings and Brent Amann, the newest sports turf sales representatives, in our latest employee spotlight. 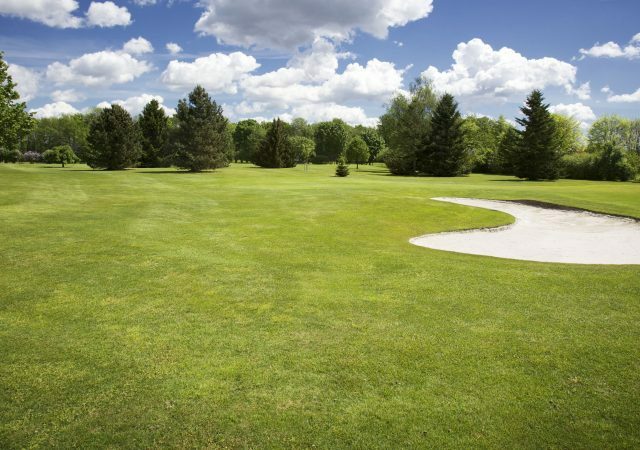 Soil compaction is a concern on nearly all maintained turf, including golf course greens, tees and fairways, sports fields, and heavily trafficked areas in public or residential areas. 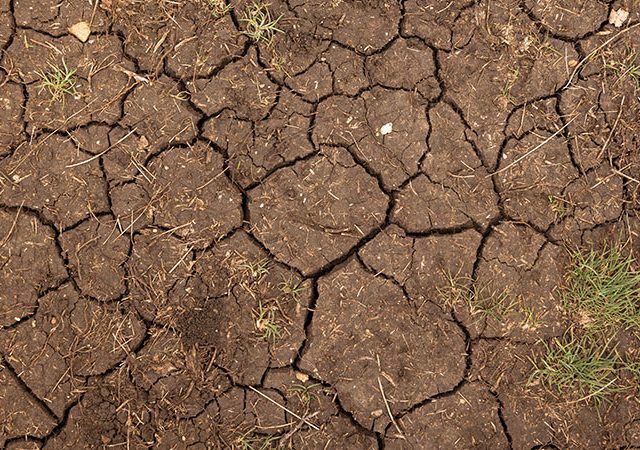 Compaction occurs as soil particles press together tightly, and soil structure and available pore space for air and water are reduced. 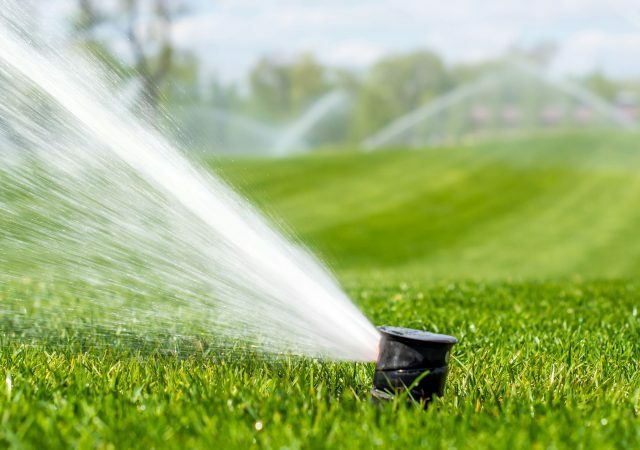 Irrigation Water: Friend or Foe? 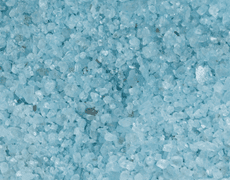 Adding irrigation water to your soil does not always mean only water was added. Other harmful problems may be lurking in that water. 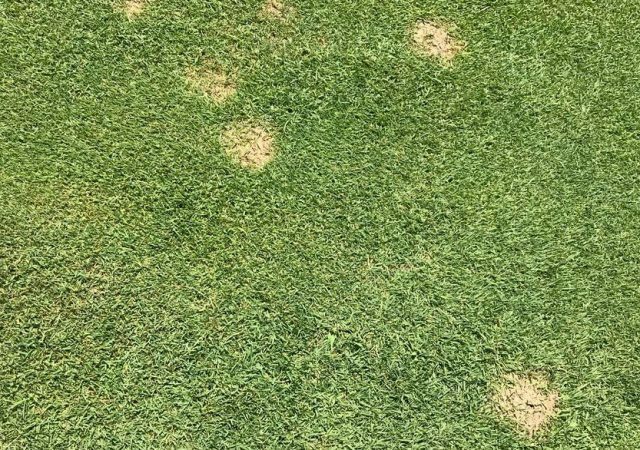 Dollar spot is easily one of the top diseases superintendents have to combat each year in this part of the country, and it can be seriously destructive to playing surfaces. 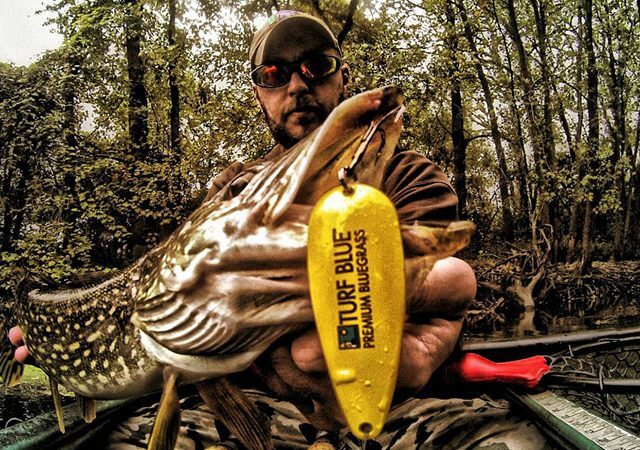 Meet Keith Blondell- a driver for our Elk Grove Village, Illinois, location and avid kayak fisherman in our latest employee spotlight. 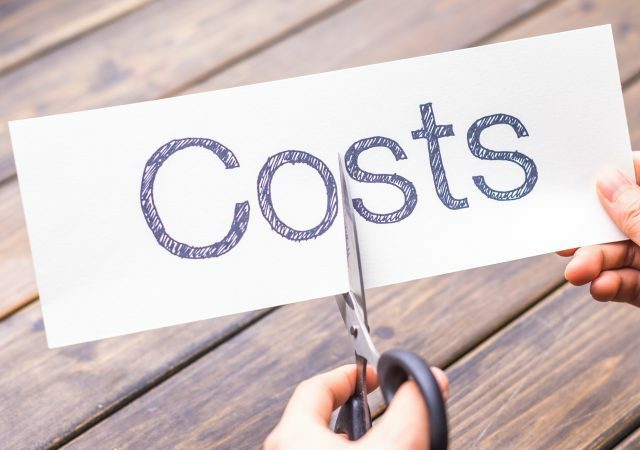 As the cost of fungicides continues to increase, it becomes more and more important to make sure that you are utilizing these products efficiently and effectively. Learn four ways to maximize your fungicide performance. 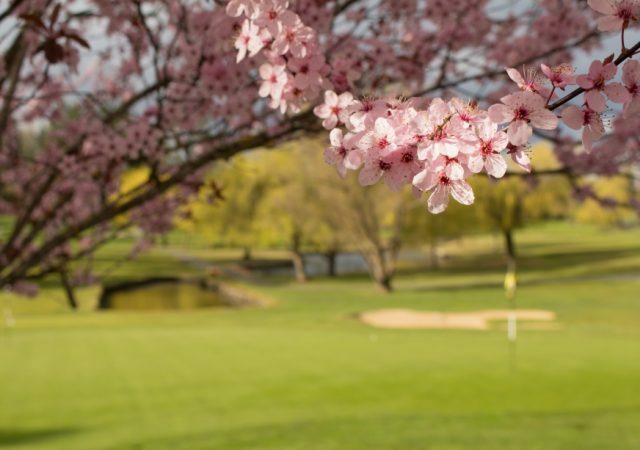 When spring weather finally arrives, it means timing is crucial for making applications. The GDD tracker is an excellent tool for the timing of these events. 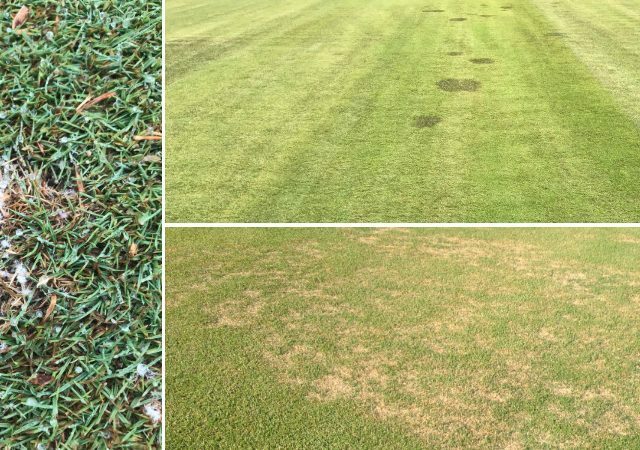 Spring brings many things, including zoysia patch, spring dead spot, brown ring patch, and fairy ring. Here's how to treat for the diseases. 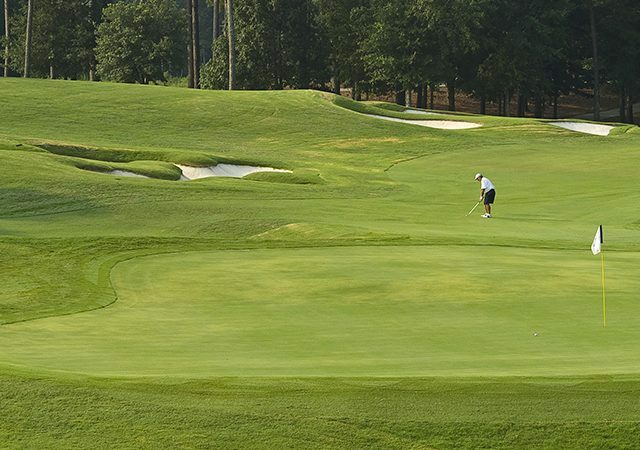 Billbug damage is frequently confused with other turfgrass problems on golf courses. 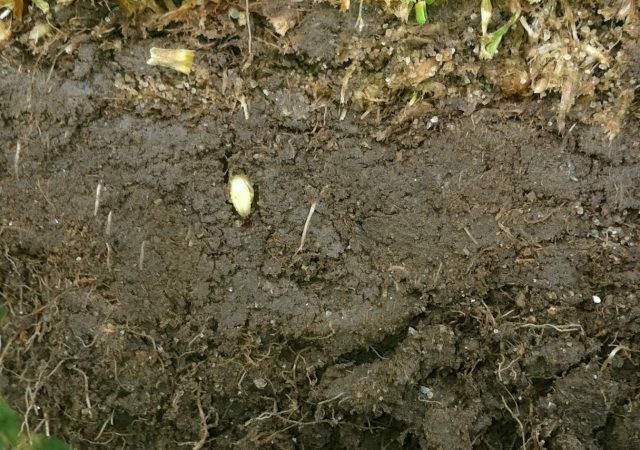 Damage from billbugs can be diagnosed as many ailments, including disease and white grubs, but nothing that should treat the problem works. 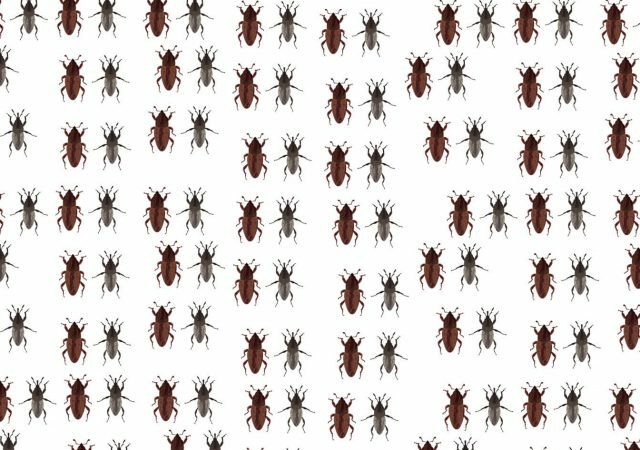 Knowing more about billbugs can save time, patience, and money. 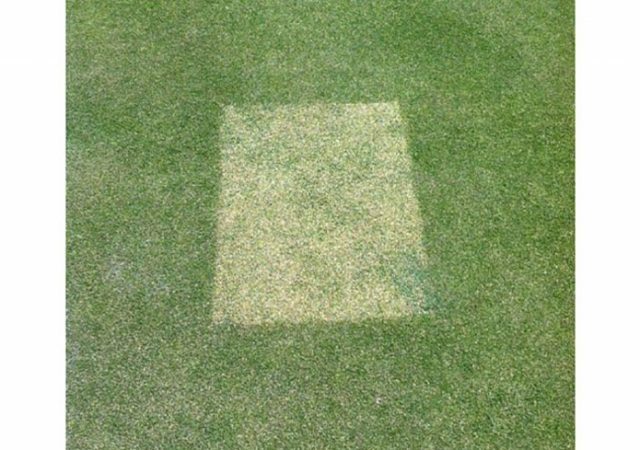 Annual bluegrass weevil (ABW) damage, a yellowing or browning of the affected plant, can happen very fast, almost overnight in most cases. 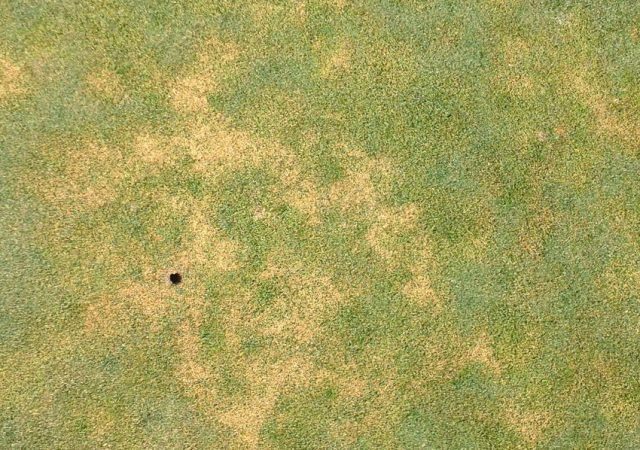 People who have never dealt with ABW can often misdiagnose its symptoms as wilt stress or even anthracnose. 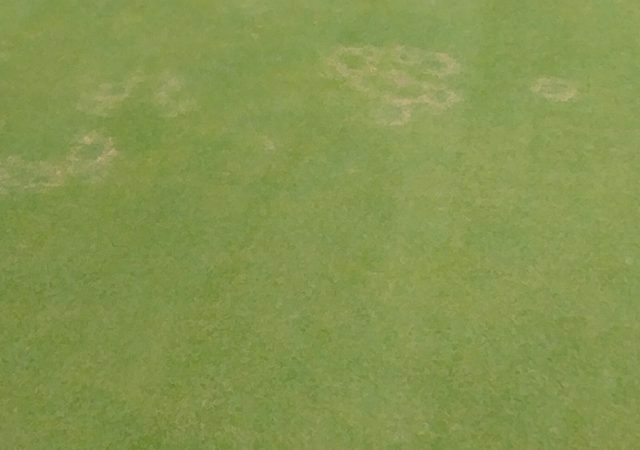 While visiting golf courses, a common problem I’ve come across is fairy ring on putting greens. 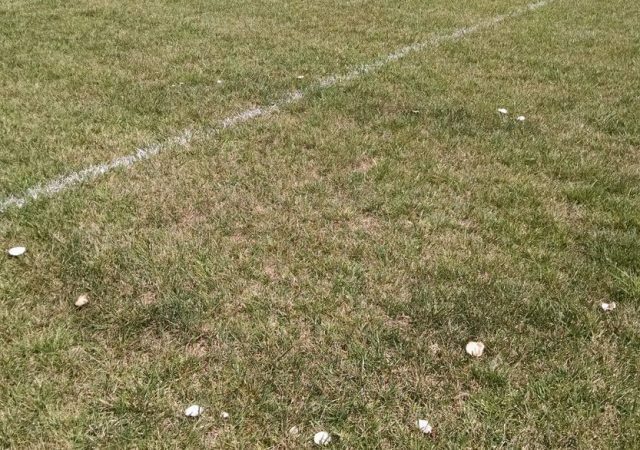 Yellow patch, fairy ring and brown ring patch are popping up in Northeast Ohio. 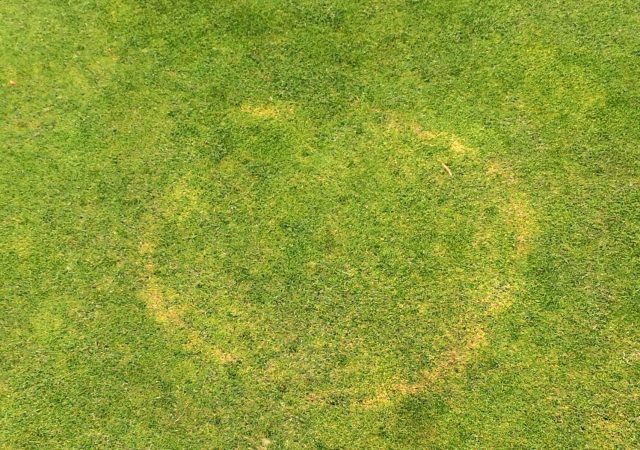 Fairy Ring affects all turf species and is one of the most difficult diseases to control. 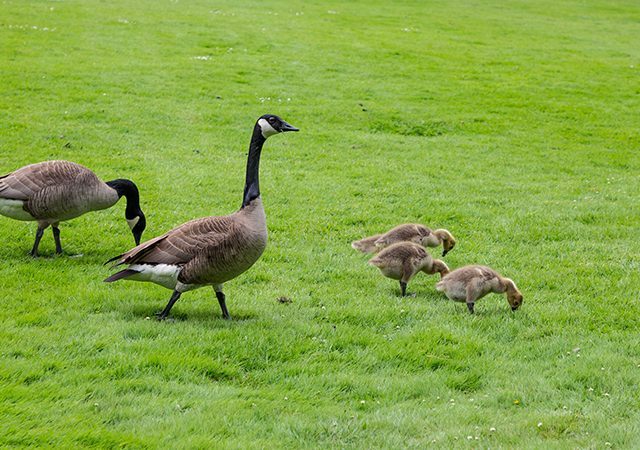 It is caused by >40 species of basidiomycete fungi that can infest thatch, mat or soil. 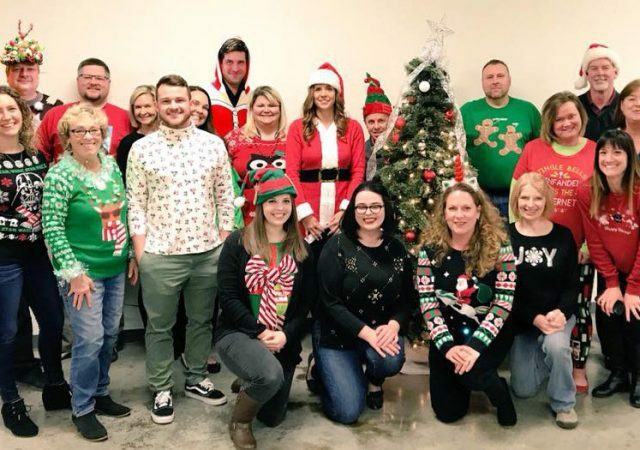 With 20 locations and a presence in 10 states, we may seem like a large company, but we pride ourselves in preserving the small company feel that we had when we first started in 2001. 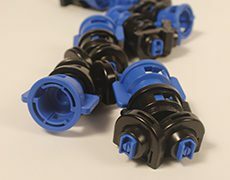 After you blow the dust off the sprayer, you can start filling it up with a variety of essential fungicides, wetting agents, and foliar fertilizers for spring disease prevention. 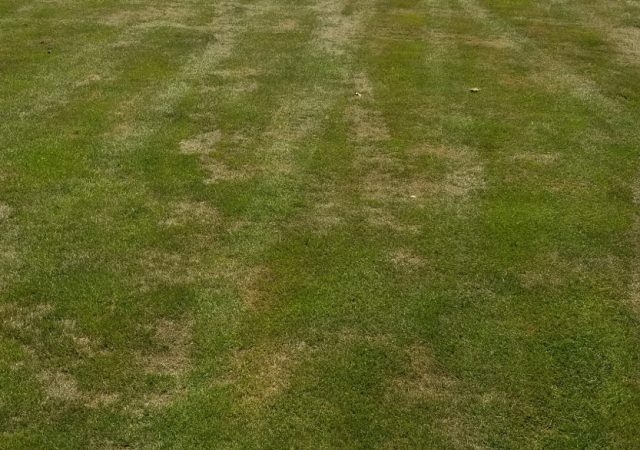 Turf loss during wintertime, or winterkill, can be caused by several issues. A lot goes into a Poa annua seedhead suppression program on greens. Here's what you need to know about the new application timing and what you can do if you missed the first, late fall Proxy spray. 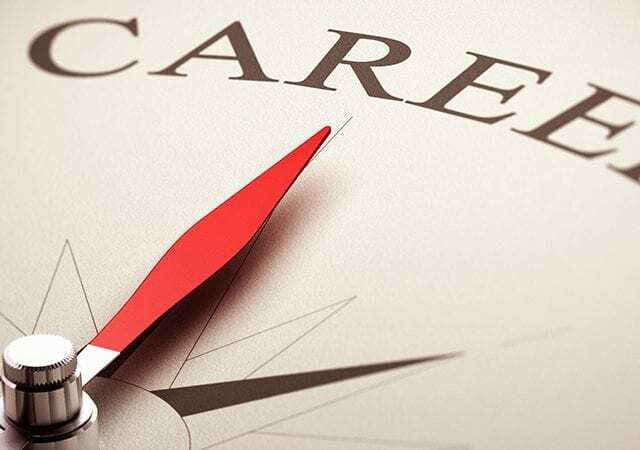 If you are considering a career in the turf industry, there may be more options than you think. 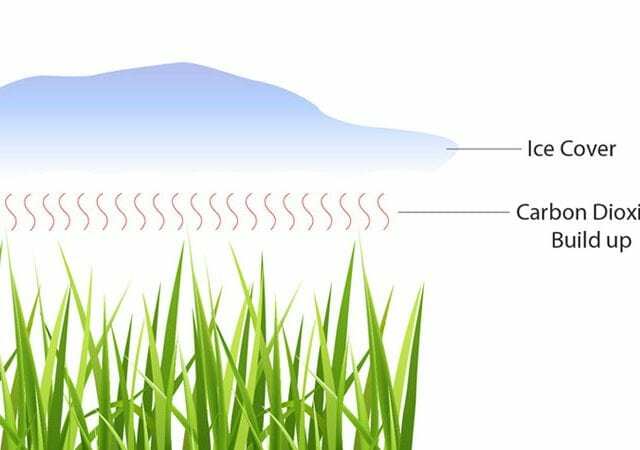 Prolonged ice accumulation on turfgrass can lead to fatal levels of carbon dioxide.